Benoît Chantry is a Belgian composer who writes music for wind bands, musical theatre and more, with a penchant for mixing styles. He started music study early at the Tournai (Doornik) Conservatory, where he is now a professor and director of the wind band. He also teaches at the Belgian Royal Conservatory of Music in Brussels. He has a MySpace page where you can hear more of his music 1). 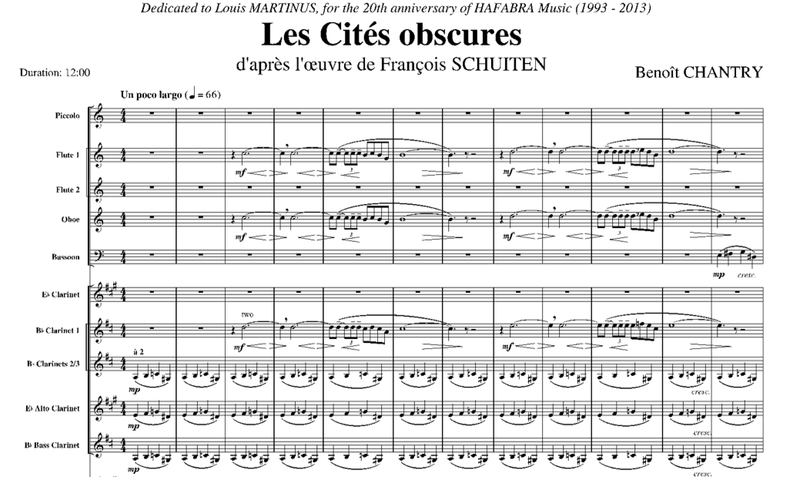 Chantry wrote Les Cités obscures in 2013 for the 20th anniversary of Hafabra Music (which published the piece) and its founder Louis Martinus. The piece is based on a collection of graphic novels of the same name by the Belgian comic book artist François Schuiten and writer Benoît Peeters. The series takes place on a counter-Earth in which individual city-states have developed independent civilizations and architectural styles. Chantry’s piece attempts to depict the differences between these civilizations, obscured as they are from us and each other. Benoît Chantry performed his music piece Les Cites Obscures in Tournai at a gala concert to benefit UNICEF. This had not been performed before in Belgium. The concert was on June 27 2014, in Tournai. 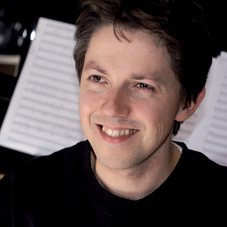 Listen to a recording of “Les Cités obscures” by Benoît Chantry. or read the sheets of music to get an impression.